① Ultra thin clear acrylic frame with stainless steel assembly components. ② High quality hanging wire to improve the whole stablity of hanging structure. ③ Fashionable double sides displaying type for a wide display angle. ④ High quality LM80 listed LEDs with 50000 hours lifetime. ⑤ Protrait or Landscape mounting available. ⑥ Design for A3 size graphics. 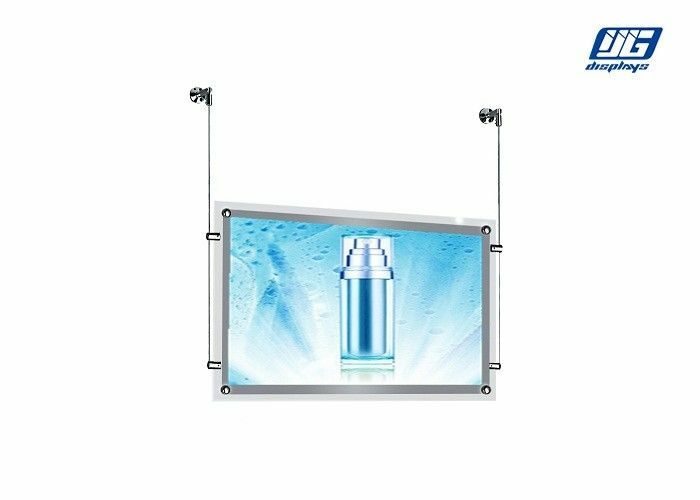 ① CRD A3 Clear Frame Double Sided High Lighting Crystal LED Poster Display Light Box can be packed with corrugated box or honeycomb box according to different shipping needs.If there is specific requiry about the packing such as wooden case,we also can design for the packing according to your requiry. 1. If any inquiry on our products, we would reply to you within 12 hours! 2. We have experienced, enthusiastic sales team and service team who can speak fluently in English. 3. We offer OEM services. We can print or engrave your own logo design on the product, can provide customized retail box packaging, meet all your needs. 4. Our afterservice is considerate and our staff will serve for you patiently and passionately. 5. We have certificates and contract so it is safe to cooperate with us.